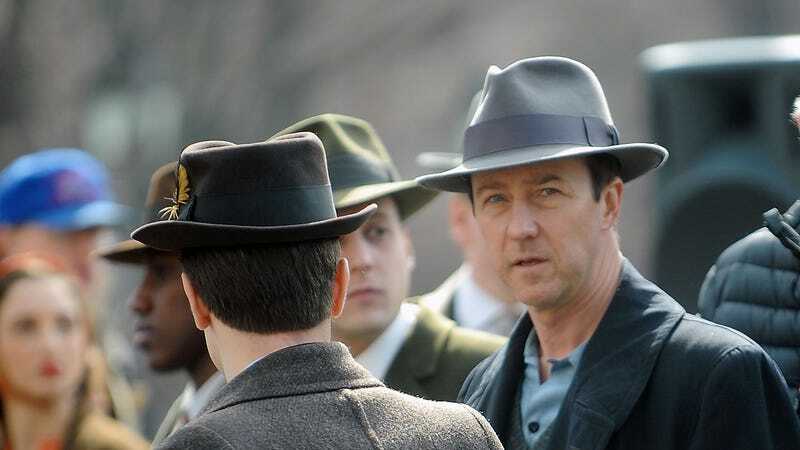 Edward’s Norton production company, Class 5 Productions, is being sued this week over a fire that broke out recently on the set of the actor/director’s new film, Motherless Brooklyn. The massive blaze—which ended up killing one of the New York Fire Department firefighters, Michael Davidson, who was attempting to fight it—ended up burning out most of a five-story building where Norton and his crew were filming in Harlem. Norton’s film is an adaptation of Jonathan Lethem’s novel of the same name. The production company has yet to comment on the lawsuit, although they issued a statement thanking the FDNY and expressing their condolences to the family and friends of Lieutenant Davidson earlier this week.